After an amazing reception of our last magazine, there was some anticipation and inquiries as to when this year's issue was going to be released. Well...it's here and we couldn't be more proud of the result! 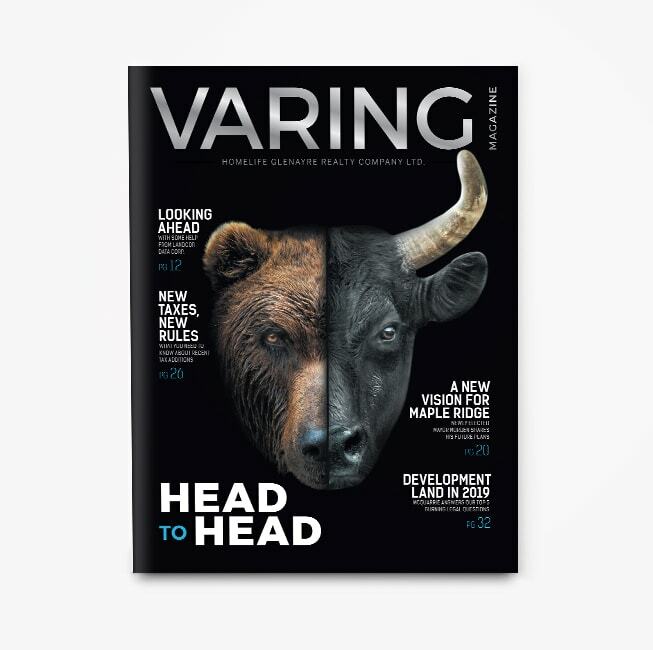 We had the pleasure of working with some key players in the world of Fraser Valley land development to bring this 2019 Varing Magazine issue to life. It's always a challenging yet rewarding process to make sure that we're giving our readers something resourceful and we think that our contributors have most certainly delivered. A huge thank you to everyone involved and to our contributors. Mayor Mike Morden for sharing his excitement and plans for the future of Maple Ridge. It's always a great opportunity to meet with government leaders to gain insight and a new perspective. 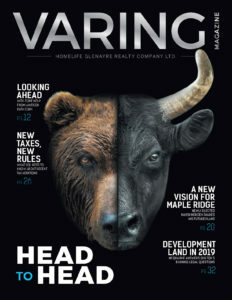 Jeff Tisdale of Landcor Data Corp. for the interesting review of past real estate trends and giving readers a taste of what's to come in this current real estate market. A thank you to Rick Gendemann, partner with Elliott Manning LLP. With the adjustments to tax laws in 2018, he was able to share helpful answers for what to expect and ways to recognise if the changes affect you. And to Jason Sandhu of McQuarrie. Jason was able to answer some of the top legal questions of landowners like yourself. We hope you enjoy this year's magazine! What would you like to see in next year's issue?